On the Sunday ON THE BUSES fans with Gold tickets joined the Routemaster bus again (owned by Sullivan Buses) for a Elstree Film and TV Heritage tour..
On the bus tour we visited many film and TV locations used locally during the last 99 YEARS of output by film and TV studios (including more ON THE BUSES film locations).The studios in the region created some classic and iconic programmes seen on the small and big screen. It was also a great social event where ON THE BUSES fans got to meet some of the local residence on board with us, who were also enjoying the tour. Well done to Paul Welsh, Bob Redman, Dean and Steve at Sullivan Buses and all those who helped make this a good day out for all. 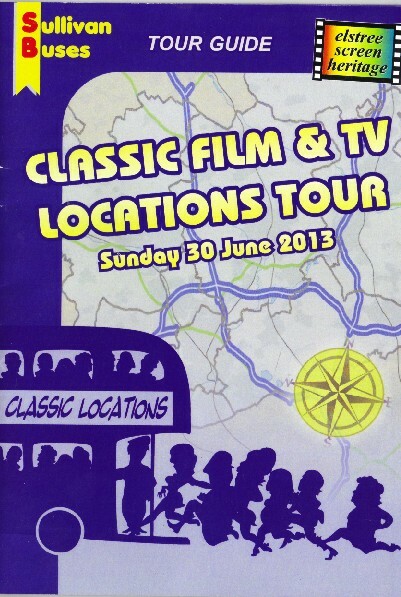 If you want to know more about Elstree Screen Heritage then click the link at the end of this page. so you better have a ticket for travelling onboard. DING DING! 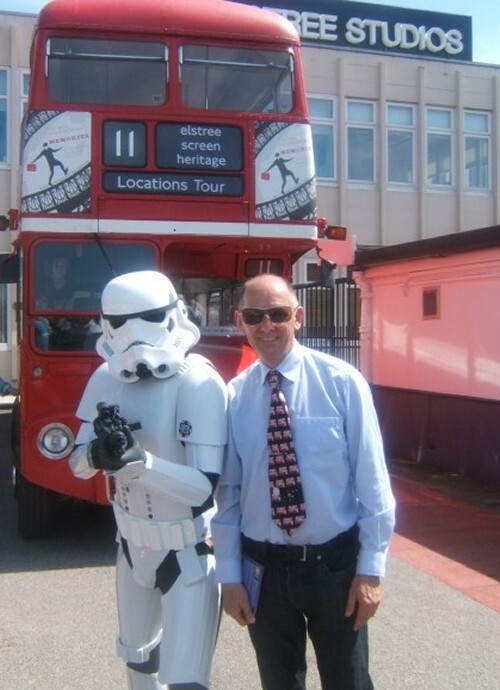 Elstree Studios is also home to the TV show 'BIG BROTHER'. Here we see a view of the BIG BROTHER set. CANONS HOUSE used as a location for many film and tv shows, including Hammer Thrillers like 'THE DEVIL RIDES OUT' & THE SANTANIC RIGHTS OF DRACULA plus TV shows such as THE SAINT, THE AVENGERS, RANDELL AND HOPKIRK. Nice to see the number 11 bus back at the studios where the 3 ON THE BUSES movies were made. 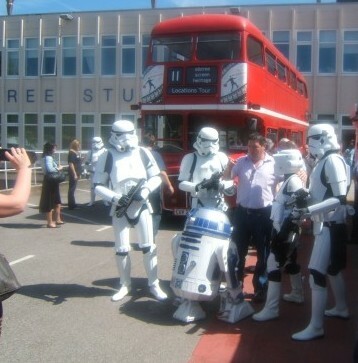 One of the ''Elstree and Borehamwood' TV and Film studios. With the DVD release of The Elstree Story just around the corner, we invited the guys over at Elstree to give you a brief introduction to what can be expected. Opened in 1927 as “British National Pictures”, 25 years later this famous studio was operating as ABPC (Associated British Picture Corporation). By the early 1950’s the studio had been home to many silent films as well as Hitchcock’s Blackmail (the first British “talkie”) and lavish musicals starring Richard Tauber. It had recently completed The Hasty Heart with Richard Todd and future American President Ronald Reagan. 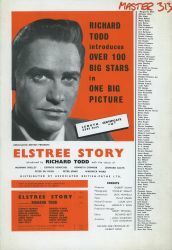 Conceived by Gilbert Gunn and introduced by Richard Todd (soon to star in The Dam Busters), The Elstree Story was planned as a tribute to the first 25 years of the studio.